Hello my name is Nathan Malamud. I am a freshman student at the University of Oregon and a member of the Robert D. Clark Honors College. Currently, I am planning on double majoring in CIS (Computer Information Systems) and SDST (Spatial Data Science and Technology). Last year I graduated from Pacific High School, which is down south near Port Orford. When I was preparing to graduate, I was also trying to plan out what kind of career I wanted to pursue. I knew that I was interested in pursuing a degree in a technological field, and I also wanted to get outdoors and help the environment. I plan to use the skills I learn in these disciplines to help scientific research teams develop elegant data models of different natural phenomena. The more sophisticated our technology becomes, the more we will rely on the analytical and artistic capacities of data visualization. 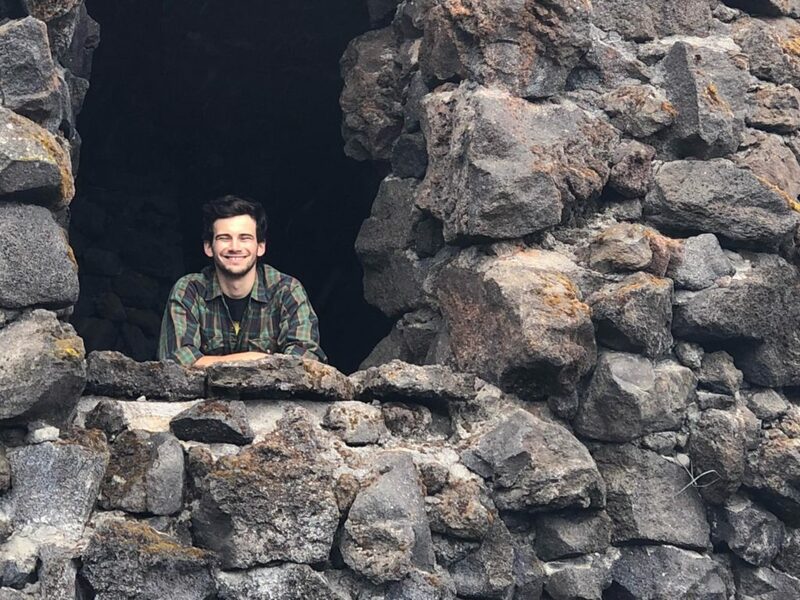 My experience interning at the OSU Port Orford field station has given me many amazing opportunities to see how these skills can be utilized in this way, and it has also inspired me to apply computer science in a Marine Ecological setting. Through an internship at GEMM Labs I worked with a team of Marine Scientists from OSU to study the foraging behaviors of gray whales in the Port Orford bay area. After having the honor to present our research with a fellow intern at the 2018 AGU Ocean Science conference, I began to see how strong the intersections of natural science and software engineering has become. My primary interest for creating these data models is to aid in the efforts of science communication. The Clark Honors College has helped me pursue this interest by getting me to view the work I am doing in a more philosophical vein. In college, along with refining my technical abilities in this technological field, I hope to bring light to concepts that will help us reimagine the ways we use our data, and how that can help reframe the way we approach our understanding of science. See Also → More Road Trips.